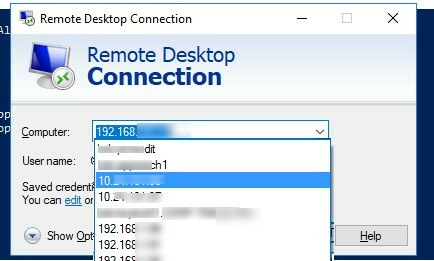 For each successful connection to a remote computer, an RDP client in Windows (mstsc.exe) saves remote computer name (or an IP address) and the username used to log on. On the next start, the RDP client offers the user to select one of the connections that was used previously. The user can select the name of the remote rdp server from the list , and the client automatically fills the user name used for log in. This is convenient from the end-user perspective, but unsafe from the security point of view, especially when the rdp connection is initiated from a public or untrusted computer. Information about remote desktop (terminal) sessions is stored individually in the profile of each user, i.e. a user (assuming an ordinary user, not an administrator) can’t view the RDP connection history of another user. 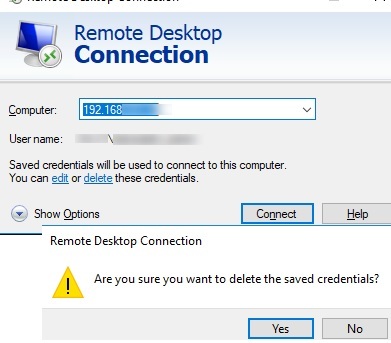 In this article we will explain where Windows stores the history of Remote Desktop connections and saved credentials, and how to clear it. Information about all RDP connections is stored in the registry of each user. It’s impossible to remove a computer (or computers) from the list of rdp connections using built-in Windows tools, you will have to manually delete some registry keys. 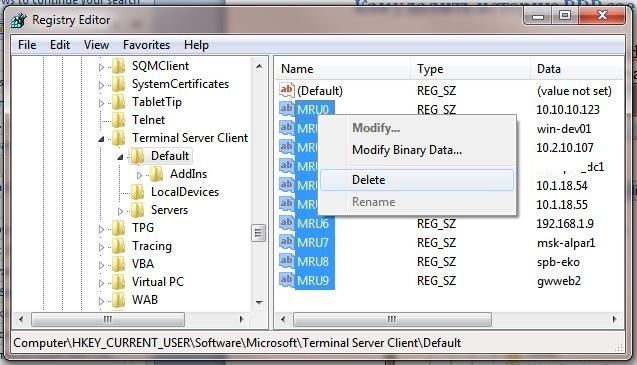 In addition to the specified registry keys, you need to delete the default rdp connection file (which contains information about the latest rdp session) stored in Default.rdp (this file is a hidden file located in Documents directory). Note. The described method to clear the history of terminal rdp connections works on all versions of Windows XP, Vista, Windows 7, Windows 8 and Windows 10 and server platforms like Windows Server 2003/2008/2012/2016. Above we have discussed how to clear the remote desktop history manually through the registry. However, doing it manually (especially on multiple computers) is time consuming. Therefore, we offer a small script (BAT file) that allows to automatically clear the history. To automate the rdp history cleanup, you can put this script in the startup or to deploy it to computers by using a group policy. Note. In some cases, the Documents folder can be moved from the standard directory c:\users\%username%\documents (for example, on another partition due to lack of space on the system drive).. In this case, you will have to change the path to the directory or manually find the file Default.rdp! Note. By the way, the feature of the RDP history cleanup is built into many system and registry “cleaners”, such as, CCleaner, etc. In case if you want to completely disable the history of remote desktop, you can try to prevent everyone from writing to these registry keys (but you should understand that this is an unsupported configuration). 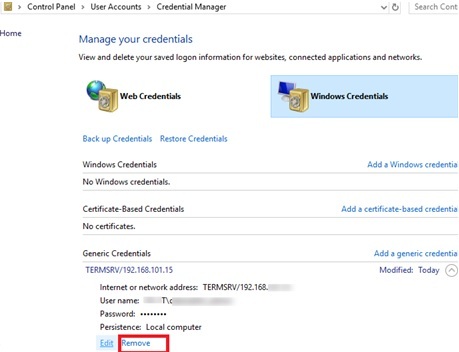 If when establishing a new remote RDP connection, before entering the password, the user checks an option Remember Me, then the username and password will be saved in the system Credential Manager. 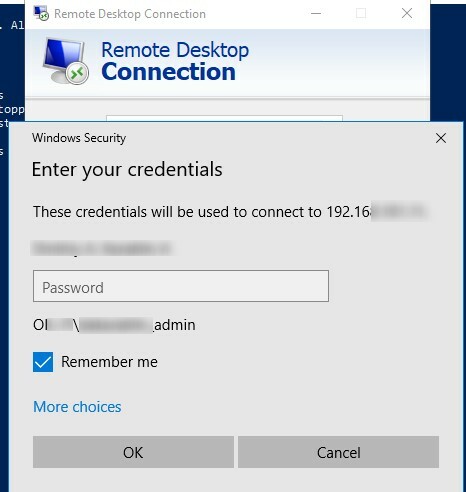 The next time you connect to the same computer, the RDP client automatically uses the previously saved password for authorization on the remote desktop. 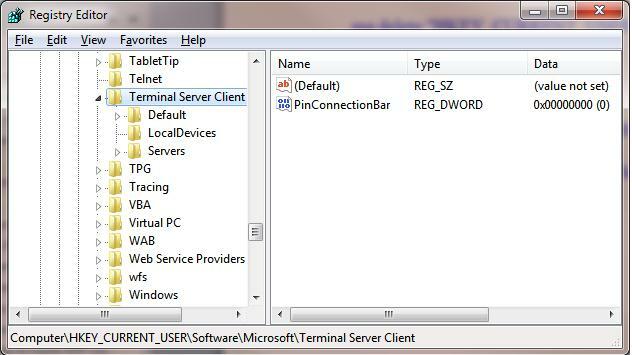 You can remove this password directly from the client’s mstsc.exe window. Select the same connection from the list of connections, and click on the Delete button. Then confirm deletion of the saved credentials. Alternatively, you can delete the saved password directly from the Windows Credential Manager. Go to the Control Panel\User Accounts\Credential Manager section. Select Manage Windows Credentials and in the list of saved passwords find the computer name (in the following format TERMSRV/192.168.1.100). Expand the found item and click the Remove button. In a domain environment, you can disable saving passwords for RDP connections by using the special policy Network access: Do not allow storage of passwords and credentials for network authentication (see an article). Thanks for your post. I was looking to clear the last connection, and deleting the default.rdp file helped in that regard. Thanks again!